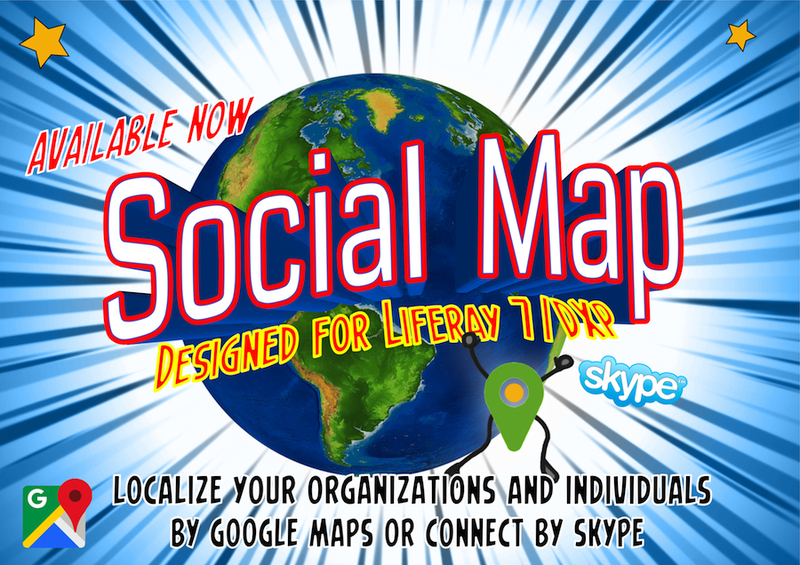 Social Map has been published on Liferay Marketplace and is available for Liferay 7/DXP portals now. Add Social Map to any website. Fulfill client requirements by providing your Google Maps Locations and direct Skype, Mail- or Phone communication. 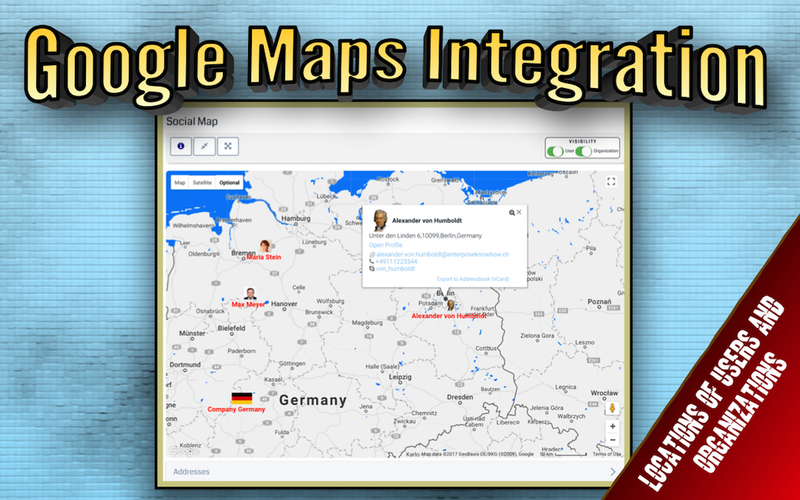 Google Maps for Liferay: Social Map implements Google Maps for User and Organizations and uses geocoding. It is ready to use within a blink of an eye – download now, 30days free trial also available. Locations of People and Organizations: Add Social Map to user and organization pages and provide page visitors with locations, including detailed information, link to profile pages and direct interaction (Skype, Mail, Phone). 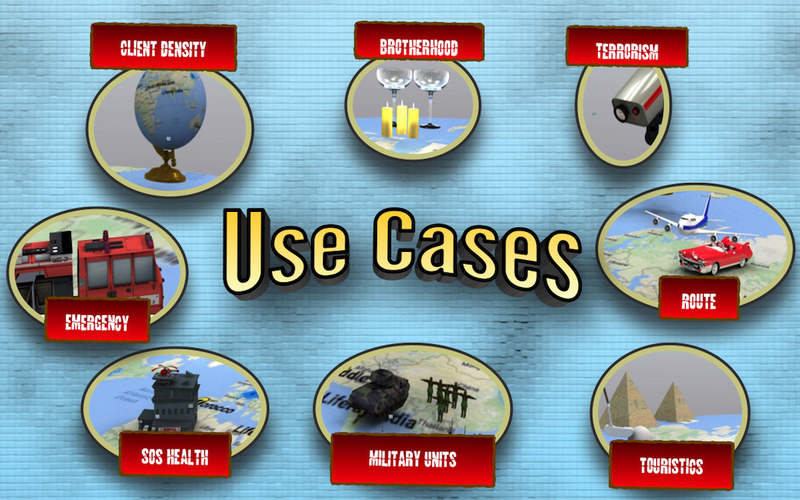 Benefit of rich customization options: Style maps the way you like. 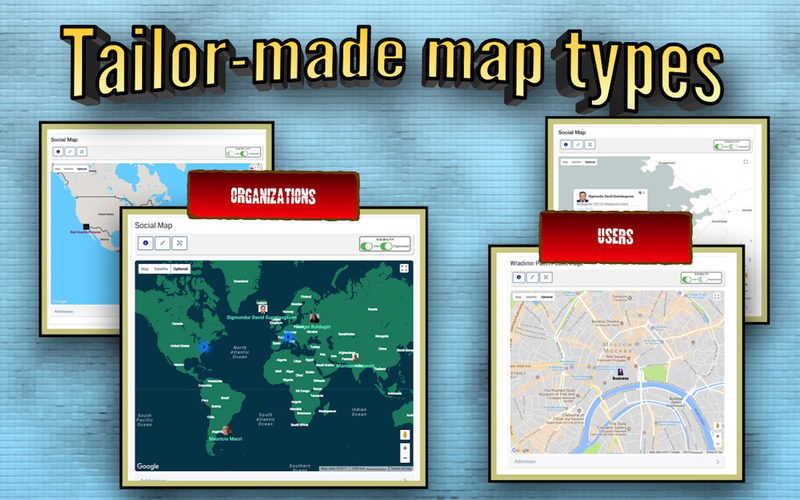 Design your own Google Maps styles or download any style from 100s available on the internet.